Obituary for Lorraine A. 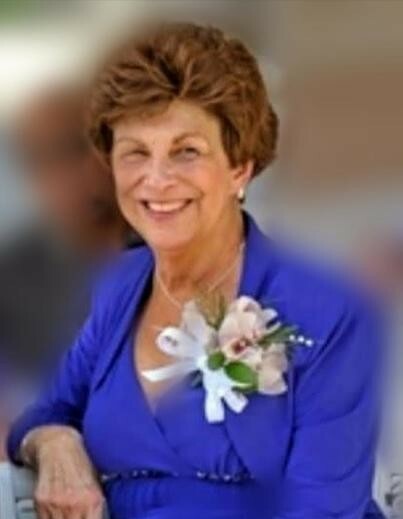 (Boutin) Doucette | Nardolillo Funeral Home, Inc.
72, of North Providence, passed away on Saturday, April 6, 2019. She was the beloved wife of Kenneth W. Doucette. Born in Pawtucket, she was the daughter of the late Normand and Irene (Ethier) Boutin. Besides her husband, she is survived by her loving children, Jeffrey Doucette and his wife Tanya of North Providence, Jason Doucette and his wife Kerry of North Providence, and Jeremy Doucette and his wife Tasha of Burrillville; cherished grandchildren Jason Doucette, Jr., Marissa Doucette, and Talia Doucette; dear siblings Dennis Boutin of North Attleboro and Jeannine Keough of Attleboro. Relatives and friends are invited to attend her Mass of Christian Burial on Friday, April 12 at 10:00 a.m. in St. Augustine Church, Providence. Inurnment will follow at R.I. Veterans Memorial Cemetery, Exeter. In lieu of flowers, donations can be made to http://pkdcure.org/tribute in Memory of Lorraine Doucette.